Story of My Dress began with the dream of creating a friendly, relaxed space to encourage brides to be themselves. 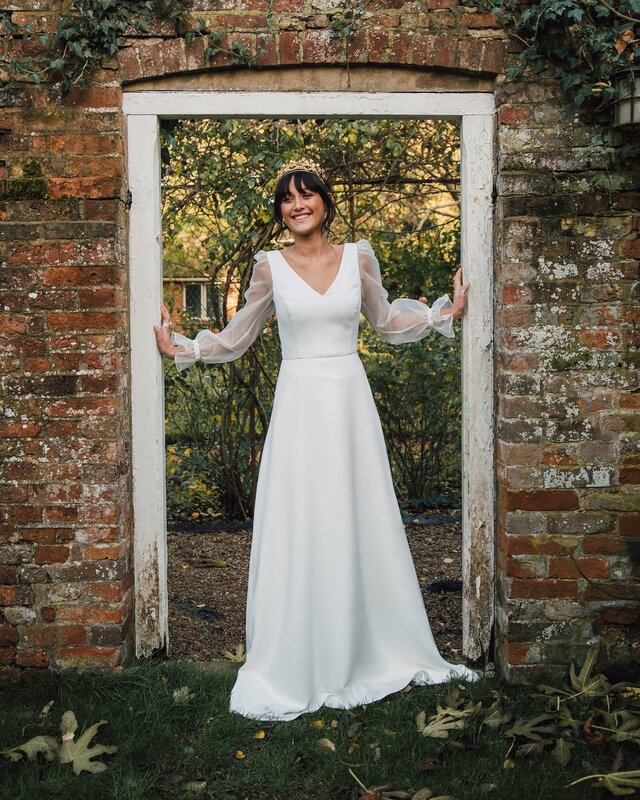 What started out as 20 vintage wedding dresses bought from a theatre company and a head full of ideas has turned into a beautiful and cosy Kent bridal boutique with our own collections of modern bridal designs, and two incredible stocked designers too – and the dream becoming a reality. Originally, the ‘stories’ of my dresses were those of the dresses’ pasts, but now it’s evolved to be yours and your dress’ story. I never take for granted how cool it is that I help dress every single bride that comes through my door and play a really big role in their story! I meet so many awesome, inspiring ladies and it's such a pleasure to be a part of their story. A major moment for me however....my sister wearing the first ever design from our own collection of bridal separates and dresses. I also find it incredible how far my brides come to see us but also how far my dresses travel to be worn. We have had brides wear our dresses in Australia, Vegas, Barcelona, Scotland to name a few! I really love that. My vintage dresses inspire me massively, the fabrics, style, small details! I mean we all know I love a bold sleeve and most of those are inspired by my vintage collection. My children inspire me to be successful and to teach and show them anything is possible if you believe in yourself and trust that fire in your belly! Easily the people, I spend my time with such interesting, lovely, inspiring ladies. Also the time spent creating beautiful dresses with my dressmaker Gill. We do have a giggle! Then there is that email with the images of the bride, so happy wearing one of your designs on her special day. Hahaha maybe its just all of it…! All of our dresses, bridal separates and bespoke styles are priced under £2000. Affordable, stylish, handmade in Kent & some of which are totally one of a kind! If you're feeling stressed or overwhelmed or worrying about money and the small details....stop, take a breather, have a cuddle and remember why you are getting married, why you are doing this. Then you'll realise that that’s what is important and nothing else really matters. Support each other always and always be each other’s number 1 (top marriage advice, speaking from 12 years down the line haha). Try and enjoy the planing process, as after all it's a huge part of your story that you'll hopefully remember fondly.